There are two primary ways investors can invest in a company: they can purchase bonds or stocks. One advantage of purchasing stocks is the dividend payment. 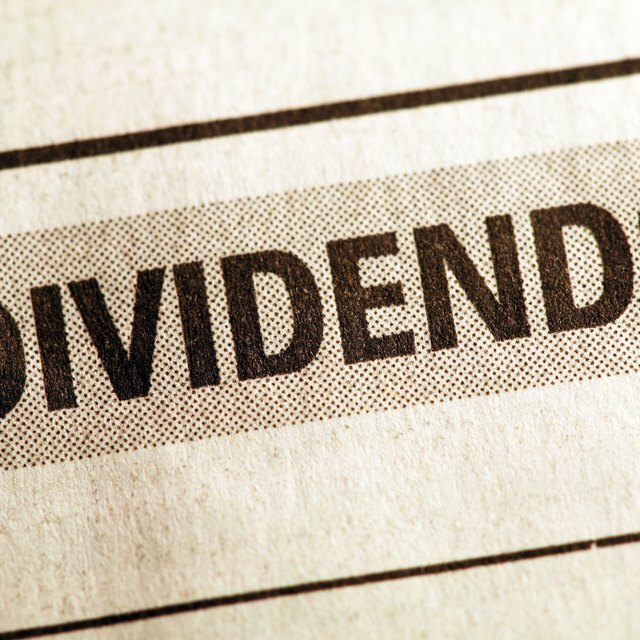 Dividends are company earnings paid out to corporate shareholders, but not all companies pay out earnings in the form of dividends. Growth companies will usually reinvest earnings. Dividends are usually paid on a quarterly and per share basis. Since dividends are paid on a quarterly basis you will need to calculate the monthly dividend yourself for budgeting or tax purposes. Obtain the most recent press release pertaining to dividend payments. Dividend payments are generally announced well ahead of the pay date. The dividend press release can usually be found on the company's website or by contacting the Investor Relations department. Conduct research on your favorite investment research site. While the company is always the best source of information, most investment research sites are reliable and will provide the correct quarterly dividend payment. Divide the quarterly dividend by 3. For example, if the the company pays a quarterly dividend of $.30 per share, then the monthly dividend equals $.10 per share. Multiply the monthly dividend by the number of shares of stock you own to calculate the monthly dividend you've earned. The monthly dividend can be used for the purposes of calculating income, but companies will not pay out those dividend until the end of the quarter, so don't plan on spending money you don't have.